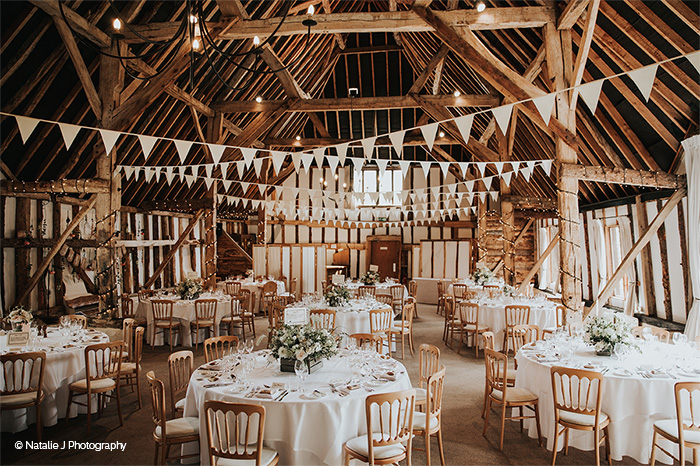 Discover what this beautiful barn has to offer at the Clock Barn Wedding Showcase on Sunday 10th March. You can get a taste of what you can expect from your big day here, with the barn dressed for a wonderful wedding and an interactive chef station so you can sample the fantastic food that caterers, Galloping Gourmet, can offer you. The Venue Team will be on hand to answer your questions as well as recommended wedding suppliers to give you plenty of inspiration for your perfect wedding day at Clock Barn. They will also be unveiling the beautiful new garden and showing you the plans for the soon-to-be-revealed new honeymoon suite and wedding preparation room.